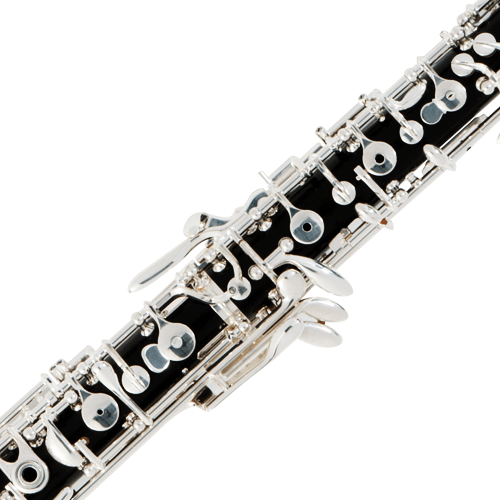 One of the original Fox Professional oboes, the Model 300 is the plastic resin version of our most traditional design. The Fox Model 300 features the same standard full conservatory keywork and bore design as the 400 grenadilla oboe but with a body built of durable resin plastic. It is known for its sweet sound, stability, intonation, and durability.